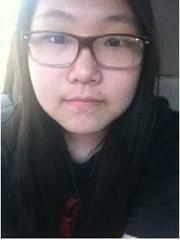 Michelle Hong, 15, Asian female, 5'06", 140 pounds, fair complexion, black eyes and black hair was last seen in Demarest, N.J. on September 1, 2015 at 10:00 a.m. It is unknown what kind of clothing she was wearing at the time. Ms. Hong may be in the area of the Lower East Side of Manhattan, or she may be traveling to Chicago via bus or mass transit. Anyone with information that can assist in helping safely locate Michelle Hong, please call the New Jersey State Police Missing Persons Unit at 609-882-2000 ext. 2857 or contact the Demarest Police Department at 201-768-1540.